Copernicus is the European Union’s revolutionary Earth Observation and Monitoring programme, looking at our planet and its environment for the ultimate benefit of all European citizens and the rest of the world. Thanks to a variety of technologies, from satellites in space to measurement systems on the ground, in the sea and in the air. Copernicus delivers operational data and information services openly and freely in a wide range of application areas. The Copernicus programme is supported by a family of dedicated, EU-owned satellites – the Sentinels -, specifically designed to meet the needs of the Copernicus services and their users. Since the launch of the first of these – Sentinel-1A – in 2014, the Union set in motion a process to place a constellation of more than a dozen satellites in orbit over the course of the next ten years. The Sentinels fulfill the need for a consistent and independent source of high-quality data for the Copernicus services. 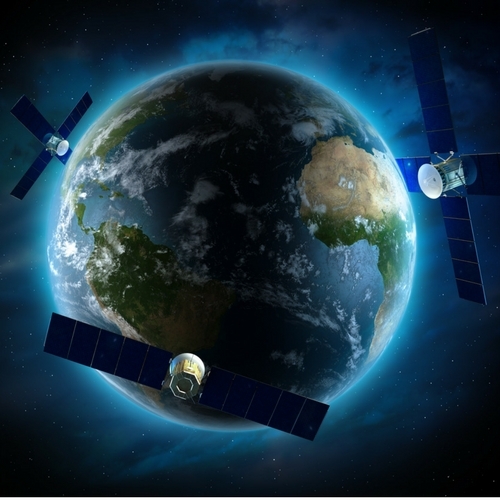 Copernicus also builds on existing space infrastructure: satellites operated by the European Space Agency (ESA), the European Organization for the Exploitation of Meteorological Satellites (EUMETSAT), the EU Member States and other third countries and commercial providers. These are known as contributing missions, and have provided satellite data for the programme since its inception. They will continue to do so, particularly where very high resolution data are required, such as in Emergency or Security applications. Atmospheric Surveillance: The Copernicus Atmosphere Monitoring Service (CAMS) provides continuous data and information on atmospheric composition. The service describes the current situation, forecasts the situation a few days in advance and consistently analyzes the retrospective data records of recent years. The Copernicus atmosphere monitoring service supports many applications in a variety of domains including health, environmental monitoring, renewable energy, meteorology and climatology. Marine environmental monitoring: The Copernicus Marine Environment Monitoring Service (CMEMS) provides regular and systematic reference information on the physical state, variability and dynamics of marine and marine ecosystems for the global ocean and European regional seas. Observations and forecasts produced by the service support all marine applications. Land monitoring: The Copernicus land monitoring service provides geographic information on land cover and related variables such as vegetation status or water cycle. It supports applications in a variety of domains such as land management and distribution, forest monitoring, water management, agriculture and food security, and more. Climate change: Responds to the environmental and social challenges associated with human-induced climate change. The service provides access to information to monitor and predict climate change and, therefore, to help support adaptation and mitigation. It benefits from a sustained network of on-site and satellite observations, a new analysis of Earth’s climate and modeling scenarios, based on a variety of climate projections. The service provides access to various climate indicators (eg, temperature rise, sea level rise, ice sheet thaw, ocean warming) and weather indices (eg, based on temperature, precipitation , Drought) and the expected climatic impacts. Emergency service: The Copernicus Emergency Management Service (Copernicus EMS) provides all actors involved in the management of natural disasters, man-made emergency situations and humanitarian crises with timely and accurate geospatial information derived from satellite remote sensing and Completed by on-site or open data sources. Copernicus EMS consists of a mapping component and an early warning component. Security: Copernicus’s security applications service aims to support European Union policies by providing information in response to Europe’s security challenges. It improves crisis prevention, preparedness and response in three key areas: border surveillance, maritime surveillance and support for EU external action. If you would like extra information, a talk or workshop about copernicus, how to access the data, or perform a related activity in your organization, write to copernicus@spacelatam.com or contact us using the form.